Balancing the budget for an event is one of the challenges faced by planners. The cause of most money issues is generally related to initial discussion stages. The design and planning of an event should start with the financial resources at the disposal of the planner. The tips below might help you estimate the cost. Expenses related to an event would come from various sources. Once you have all these sources listed down, you would be able to assign budgets to each one. For any event the most obvious expenses would be venue and catering. Overlooking one expense might cause a disbalance in the initial budget. The role of an event planner is to provide expert guidance on the coordination but also on how to balance your budget. The planner should be able to advise when your ideas are going too much over the top so that you are aware of budget restrictions. You might sometimes also have to adjust your expectations with this regards. Once you have formed an idea of how the event will be and have an idea on the overall budget, you would have to break it down for each component. 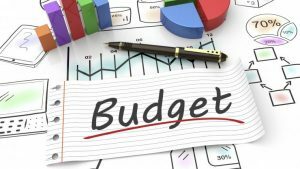 Another factor to consider is that your initial budget is only a working draft. Other expenses might come in. It is therefore important to keep a buffer, just in case. A 10% buffer is generally adequate. You will also have to include your event planner’s fees when considering your budget.